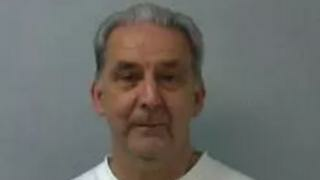 A man has been jailed for 12 years for sexually abusing children over an eight year period. Oxford Crown Court heard how Barry Amer, 65, assaulted four children in Oxfordshire between 2008 and 2016. Amer, of Burwell Meadow, Witney, was found guilty of nine counts of sexual assault of a child under 13 and three counts of assault of a child under 13. He "has never taken responsibility for his offending," Det Sgt Jenny Hanks of Thames Valley Police said. "I hope the sentence finally offers some justice to the victims," she added. Amer was acquitted of one count of indecent assault on an adult, three counts of sexual assault on a child under 13 and one count of causing or inciting a child under 13 to engage in sexual activity.